There have been 41 Master’s theses, 17 doctoral dissertations, and three undergraduate honors theses written about St. Catherines. 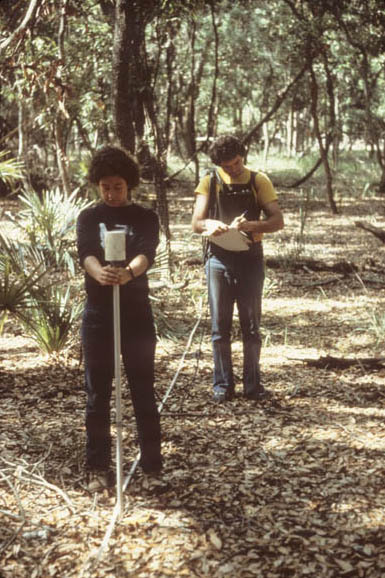 The American Museum of Natural History began exploring the archaeology of St. Catherines Island in 1974. 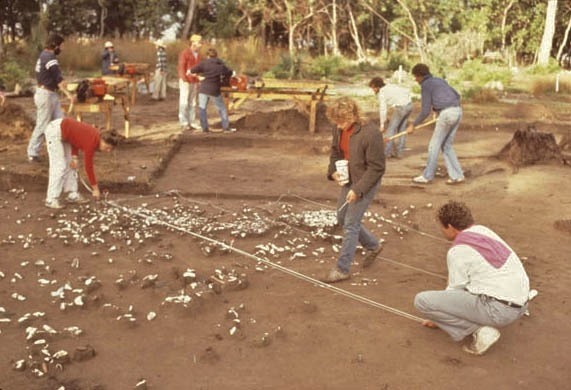 With the three goals of research, conservation, and education, the initial excavations undertaken by the St. Catherines Island Archaeological Project (SCIAP) focused on biocultural research into the Refuge-Deptford period (1500 cal b.c. to a.d. 600). 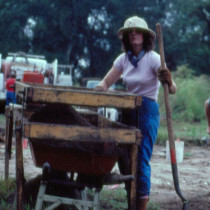 Crews from the American Museum of Natural History excavated nine burial mounds clarifying religious and ritual practices during this early period. 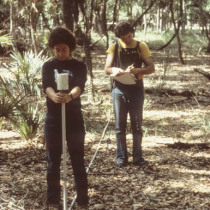 During the second phase of research, SCIAP crews worked to reconstruct the prehistoric cultural ecology of St. Catherines Island. 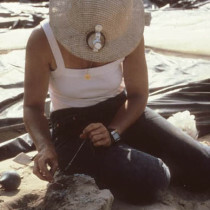 Between November 1977 and May 1979, 150 archaeological sites were recorded and test excavated to determine their dates. 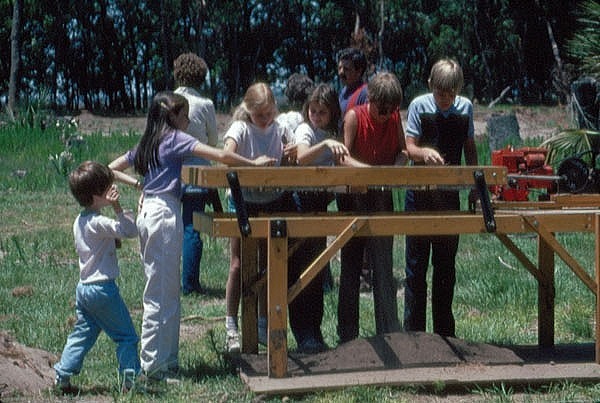 The next phase of this research explored the protohistoric/early historic (1560–1680) adaptations evident at Mission Santa Catalina de Guale and its associated pueblo. 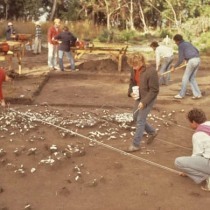 Subsequent excavations reconstructed contact-period Indian subsistence and settlement patterns, as well as the Indians’ general health and nutrition. 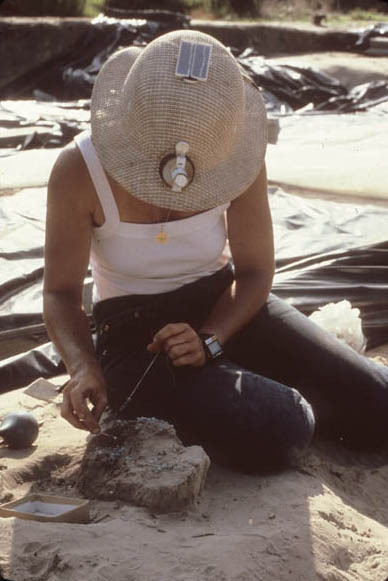 Beginning in 1994, the SCIAP expanded beyond fieldwork to tackle two related objectives: (1) to establish a new collection management initiative and (2) to begin work on several St. Catherines Island scientific publications summarizing the results of the archaeological research on the island. 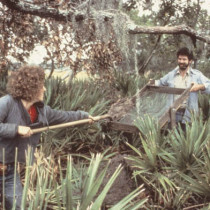 In 2001, the SCIAP developed a program for conserving and curating the archaeological and paleoenvironmental collections, which were transferred to the Fernbank Museum of Natural History (Atlanta) and the Florida Museum of Natural History (University of Florida, Gainesville). 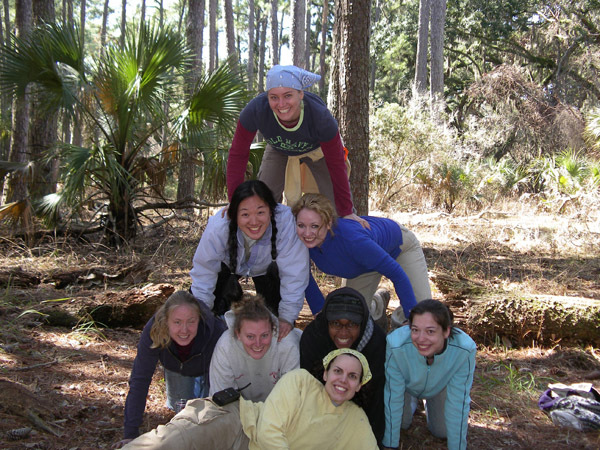 In 2005, the SCIAP began a new program to conserve the most endangered archaeology and history of St. Catherines Island. 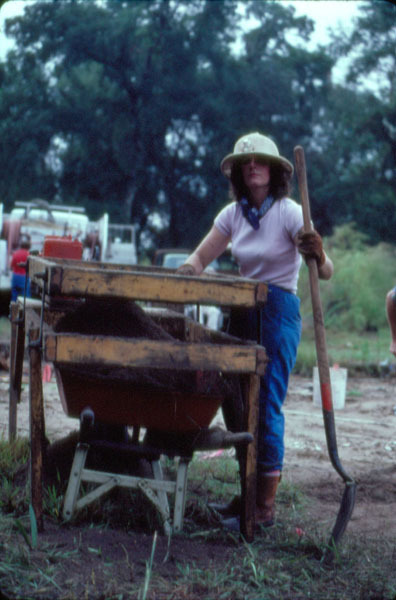 By recruiting talented archaeologists through the American Museum of Natural History’s North American Archaeology Laboratory, the internship program combined fieldwork on St. Catherines with laboratory work at the American Museum. 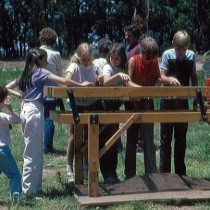 Since 2003, the program has had 200 interns and logged more than 54,000 volunteer hours. 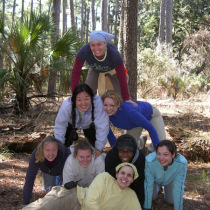 Over the years, many students who had the opportunity to do research on St. Catherines Island have gone on to pursue graduate degrees focusing on topics pertaining to the island. As of Januray 2015, there have been 41 Master’s theses, 17 doctoral dissertations, and three undergraduate honors theses written about St. Catherines.